This week, New York City commemorates the tenth anniversary of the NYC Smoke-Free Air Act, a landmark piece of legislation that has helped New Yorkers breathe easier and live longer. Thanks to this groundbreaking law, New Yorkers are able to breathe clean, smoke-free air in the workplace, regardless of whether they work in a high-rise office or neighborhood restaurant or bar. The NYC Smoke-Free Air Act was built upon a continuing campaign that has protected residents from the dangers of secondhand smoke and helped drive down smoking rates in the city to record lows. On Wednesday, February 27, the Coalition was joined by over sixty community leaders, housing organizations, and public health advocates for “Smoke-Free Housing Strategies in New York City” – a workshop designed to increase awareness around secondhand smoke at home and what some organizations are doing to reduce exposure. 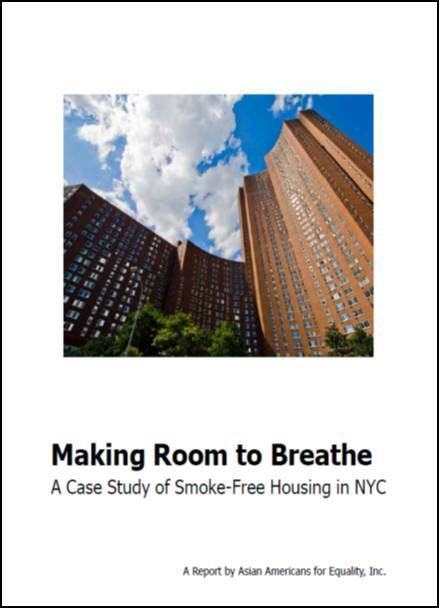 Specifically, two new resources were released: Asian Americans for Equality presented on “Making Room to Breathe: A Case Study of Smoke-Free Housing in NYC” and the Community Service Society of New York (CSSNY) presented their new Smoke Free Housing Guide for Residents of New York City. As a non-profit housing provider with a long history of tenants advocacy work, AAFE worked with the Coalition to make two of its properties smoke-free. Notably, the case study also addresses working within the confines of rent stabilization laws to promote healthier, smoke-free homes. 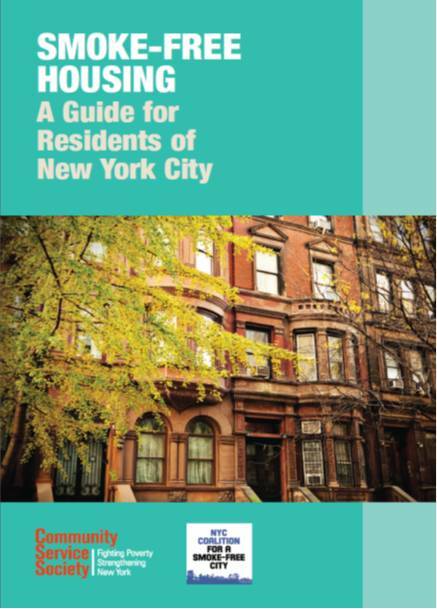 Through their community education and outreach work, CSSNY recognized a gap of information and created a concise and accessible guide to smoke-free housing for multiunit housing residents. Previously, most of the Coalition’s work around smoke-free housing involved outreach to building owners and property managers. We were thrilled to partner with CSSNY to increase awareness of and support for smoke-free housing among residents here in New York City.